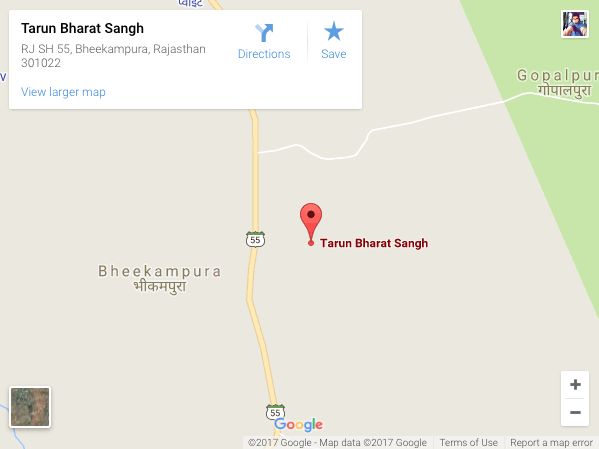 As Tarun Bharat Sangh situated in semi arid region of Rajasthan, the water and forest conservation becomes the first step of development. From this activity all other progressive activities flow. It is a cyclic and mutually reinforcing chain. These activities also highlight that water-protecting support systems, like afforestation and hill slope protection are interlinked. All these efforts are motivated by the desire to maintain an ecological balance between nature and man. TBS starts its work with mobilising communities around the issue of water, and supporting them in reviving and revitalising the traditional systems of water management through construction of ‘Johads’ for rainwater harvesting. The community contributes their labour; TBS arrange some funding and provide support to the villagers in studying the topography and soil type, assessing the water needs of the village, preparing a labour-sharing plan based on the benefits accruing to individual households and, finally, construction and management of the johads/ pokhars/ pagaras/ tankas etc. 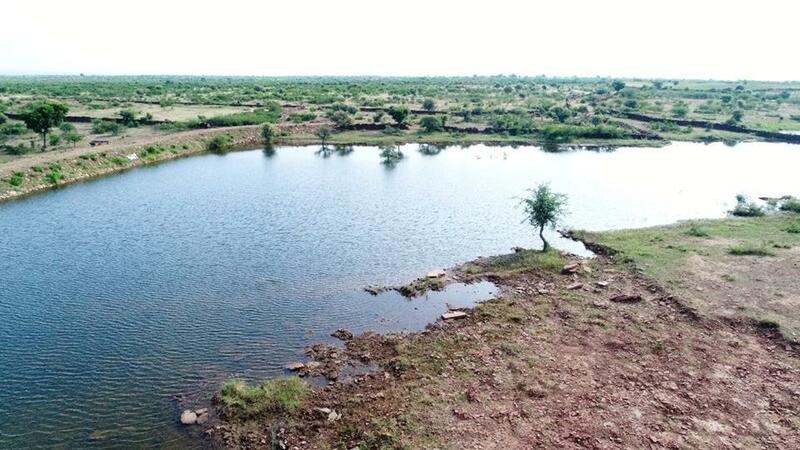 Over 10,000 Rain-Water Harvesting (RWH) structures have been restored in this way. The effects are visible in terms of recharging of wells and aquifers, renewed flow of rivulets which had been dry for many years, increased bio-mass productivity, and significant increase in agriculture production, reversal of out-migration and reduction in women’s drudgery. Due to high fodder availability, villagers have also benefited from selling milk products through an informal cooperative arrangement. TBS has built on existing cultural traditions of the area to revive the feeling of one-nest with nature which existed in village communities, and to create an understanding and ethos of integrated ecosystem development. The organisation plays a facilitating role in helping communities to articulate their priorities for natural resource development, and to find solutions. The decision-making process is decentralised. The work on water harvesting led, in an organic manner, to communities looking for ways to revive the forests and evolve systems of meeting their fuel and fodder needs through natural resource conservation and management. Discussions leading to community actions like regulating the use of pasture land for fuel and grazing, reserving land for grazing, for protecting certain forests, for building check-dams across forest streams and protecting wildlife. 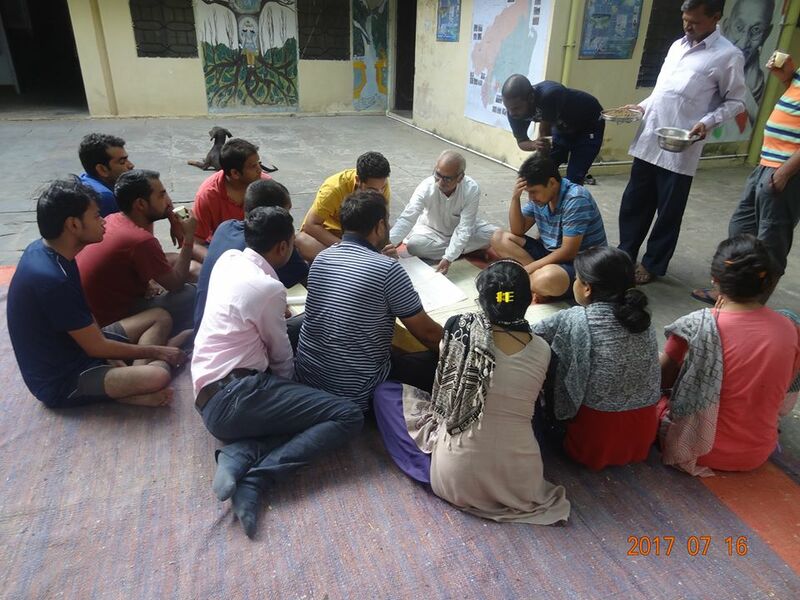 In spite of caste and gender hierarchies, TBS has been able to inculcate a common commitment to the community ecology and economy. The issue of gender equality is critical to the vision of equitable and self-reliant communities living in harmony with nature. The experience of TBS has demonstrated that sustainable resource management demands equity in access and control, with all sections of the community taking informed and responsible decisions. In the course of evolution, it has emerged that women have been the primary beneficiaries of the regeneration of water sources and forests, and there have been improvements in the conditions of their lives. It is well established that women in this region have suffered a lot on account of fetching water for the family. They, who are responsible for procuring fodder, fuel wood and fetching water, were most affected by these scarcities. All these activities are referred to as women chores, and the average time spent on them was 18 hours a day. Therefore, the creation of RWH structures has benefited women immensely. Liberated from backbreaking work of fetching water they now find time for themselves. The increased availability of water for cooking, washing and bathing has definitely improved the quality of their life. Increasing numbers of girl are now studying in schools who devotes their big spell in fetching water for family, before the existence of Johads. In order to create an enabling environment for women’s empowerment, women’s groups have been set up who have taken on the responsibility of maintaining the water harvesting structures. 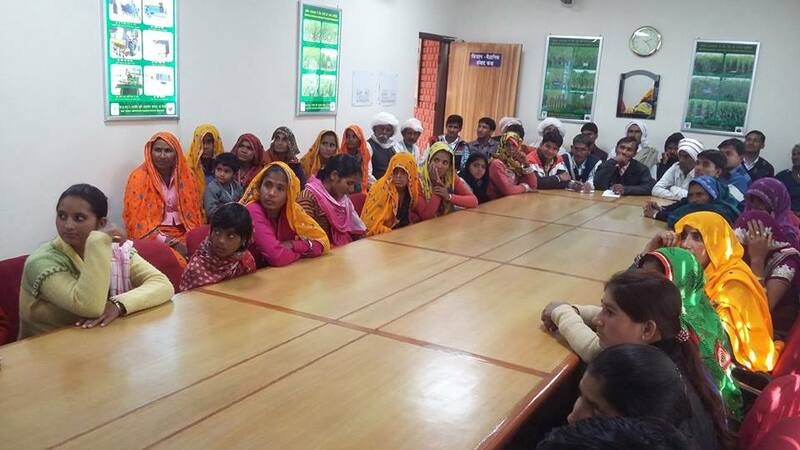 Women’s groups are supported to participate in the entire planning and resource management process in the Gram Sabha. TBS organise women groups around the issue of biodiversity conservation and health. Women of the region have been supported in building and enhancing their traditional knowledge of herbs and to become health providers for the community. As far as possible, members of women’s groups are trained to be teachers at the learning centres. Since the area has poor school facilities, with practically no women who are even functionally literate, the presence of women as teachers is a powerful tool for changing traditional perceptions of women as ‘ignorant’ and ‘incapable’. Women’s control over community resources has been enhanced and now they are taking key decisions for watershed development and forest conservation. This empowerment process gave rise to many hidden women leaders who are now actively participating in the village level political process. 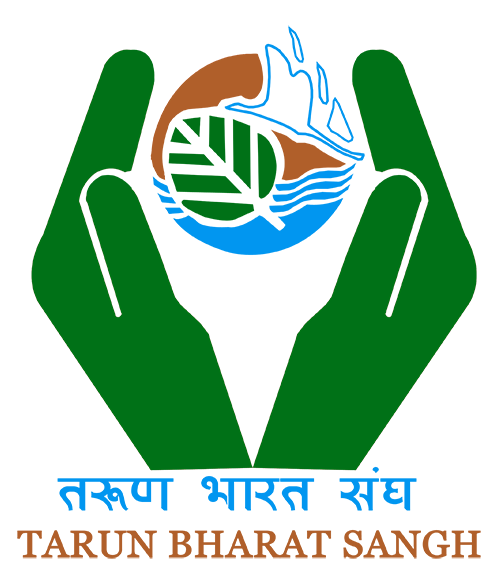 Tarun Bharat Sangh has also been serving in the field of people’s health since its inception. TBS have helped in the revival of traditional system of medicine and the promotion of the Ayurvedic system of medicine. The local traditional healers have been empowered with the latest information on preparation, use and dissemination of herbal medicine. In the field of education, TBS has struggled for years to assist in opening up government primary schools in remote villages. The communities actively participate in supervision of the community schools and in motivating parents to send their children to schools. TBS encourages literate youths of villages to teach children in other villages lacking formal education infrastructure. TBS provide extensive training to the community teachers. TBS also helped Communities in the erection of educational-infrastructure like School Building, Furniture etc. Since the area lacks facilities for education, and since girl’s involvement in household work and exclusion from education are major reasons for their continued disempowerment as adults, TBS ran alternative learning centres “Tarun Shalas”till 2005.. These centres functioned simultaneously as alternative schools for children, as well as learning centres for adult women. These learning centres provide a platform for women to discuss issues of rights and responsibilities, workload, girl child education, child marriages, etc. Setting up education centres also had the advantage of reducing the incidence of child labour and create a demand for education. The content and process of education at these centres reflected the values of gender equality and sustainable development. TBS is intensively working with adolescents on ENVIRONMENT EDUCATION for the awareness on issues like climate-change, ecology and natural resource management.